Did you know? Fewer than 2% of auto mechanics are female. There are plenty of women who have interest in getting into the industry, but many can’t find work because they aren’t qualified. And they can’t build the skills to become qualified until they land a job. It’s a cycle that Sarah “Bogi” Latiener has sought to break by changing the way people think about women in automotive. 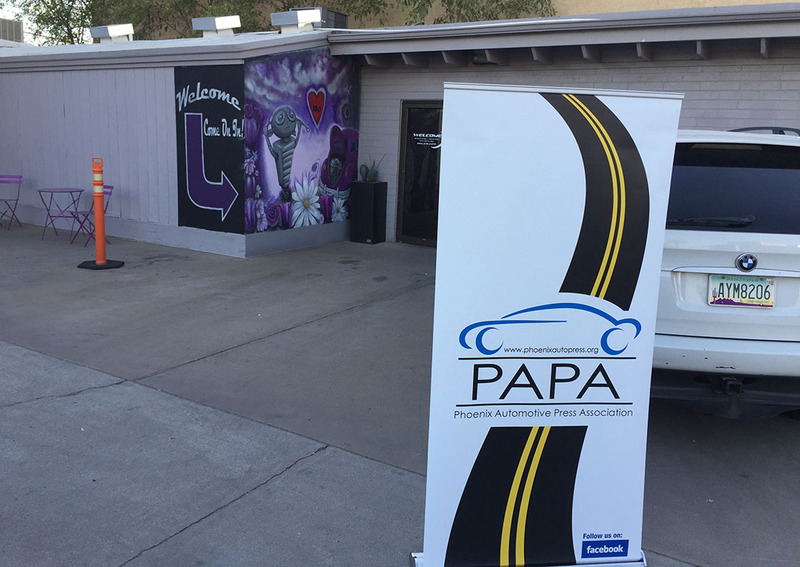 Last Wednesday, Bogi invited the Phoenix Automotive Press Association (PAPA) to her shop in central Phoenix, Arizona that serves as a repair facility as much as an educational institution. 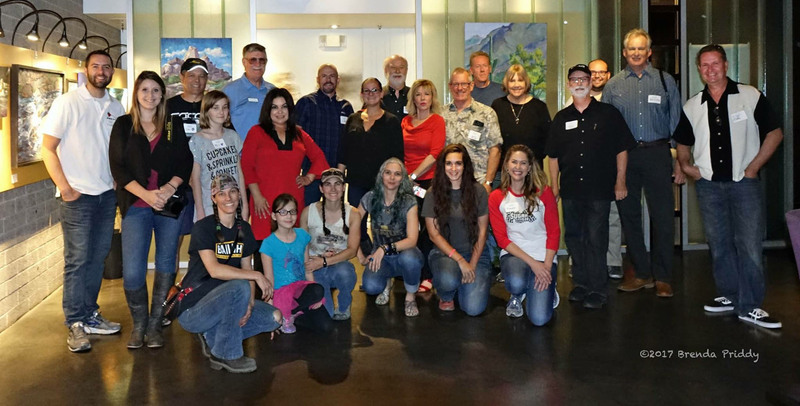 Women from around the community – and around the country – come to Bogi’s to learn the trade. For some women, it may be the first time they’ve picked up a wrench. I know for a fact that many of her “students” probably already know a heck of a lot more than I do. I’ve had professionals handle my car maintenance for years now – aside from air filters, batteries, and easy stuff, I haven’t ever dipped too far into the mechanic scene. Now I’m inspired to. And thus the reason why Bogi’s facility is called 180 Degree Automotive: It turns the perceptions and stereotypes 180 degrees, causing people to think twice about letting a gender difference dictate anyone’s ability to be skilled in automotive trades. Our group of automotive journalists enjoyed getting a behind-the-scenes look. Bogi co-hosts a TV show on Velocity Channel call “All Girls Garage,” and the main project taking place currently is a build called the Chevy Montage. A team of women is putting together a 1957 Chevy pickup truck (equipped with a BMW M5 engine) that will debut at the SEMA show in Las Vegas in November. 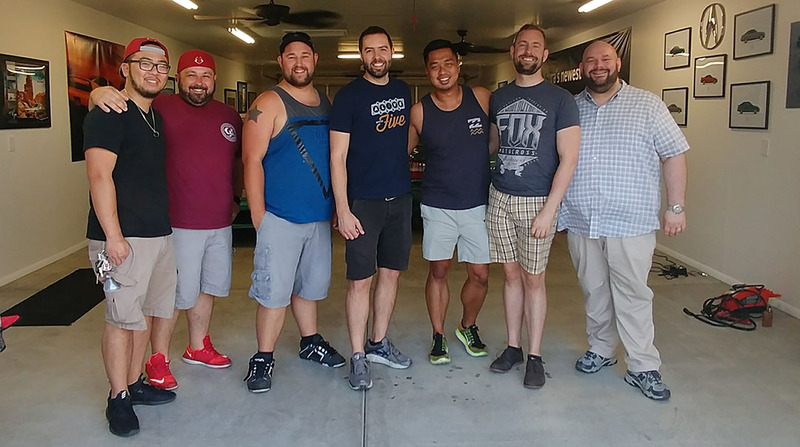 We got an inside look at the place where the magic happens: a nondescript industrial building at Camelback Road and 7th Avenue that is definitely more than meets the eye. 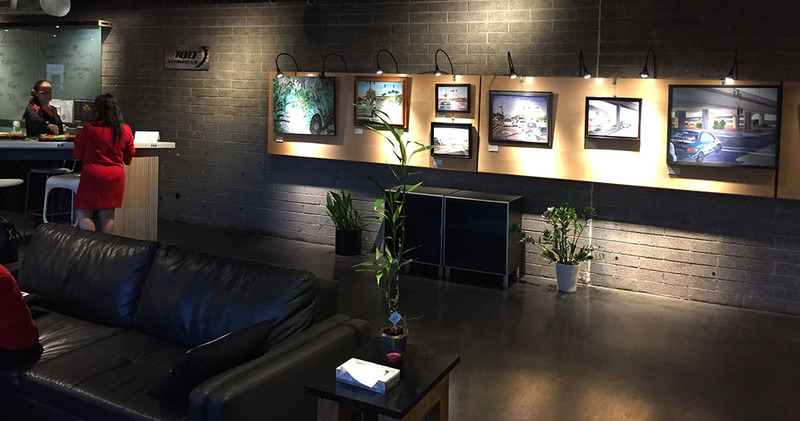 The lobby contains a quarterly art exhibit featuring local artists. And the garage bays themselves are tidy and organized. I guess it takes a woman’s touch! 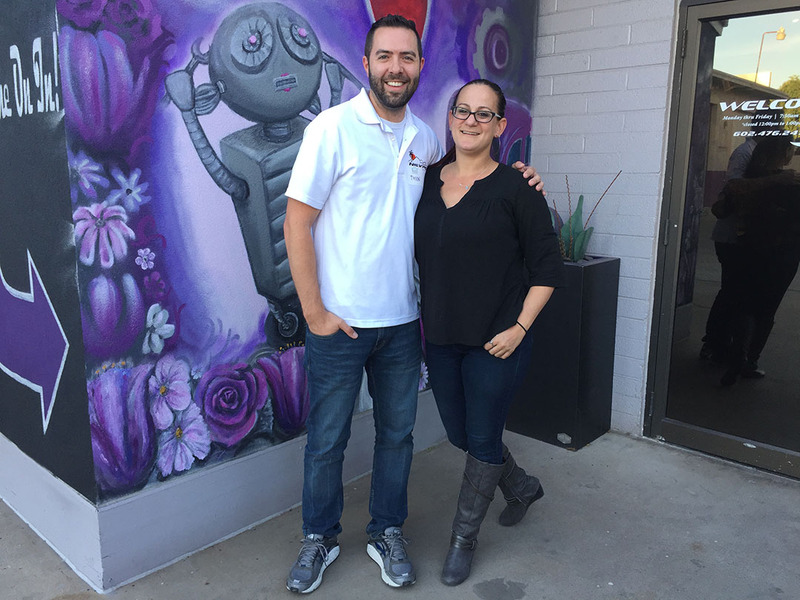 We thank her for the hospitality and wish her the best of luck in finishing up the SEMA build! Here is a feature video on Bogi from “Assignment America” 7 years ago. Here are a few other pics from over the weekend. We had some friends come up from Tucson. 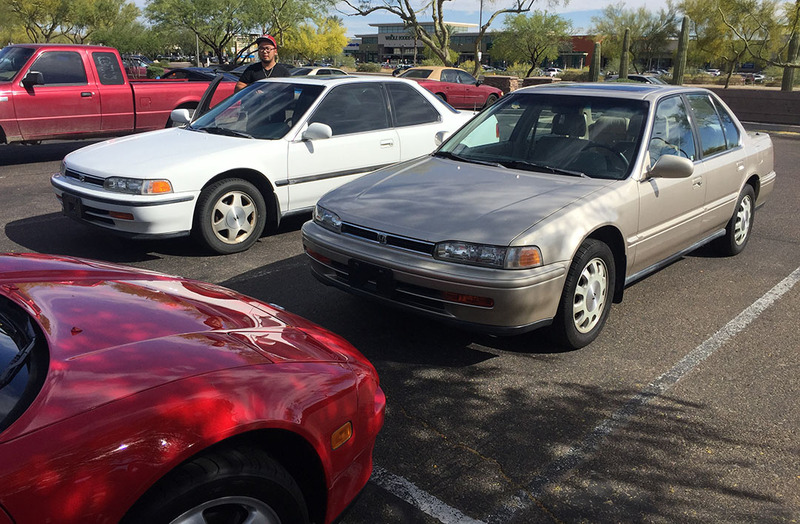 Two of them were in a pair of “CB7” (1990-93) Honda Accords, including this EX coupe and SE sedan. The sedan had 299,927 miles on it! 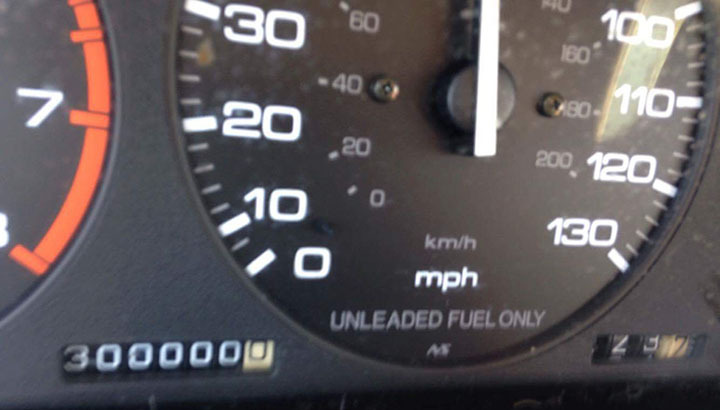 On his return trip, Corey sent me this pic to confirm the car achieved its milestone. Honda party at the house. James‘ Focus RS, on test for the week, joined the party, as well as Michael’s 2001 7-series. And Donald’s Vortex Blue TSX 6-speed. 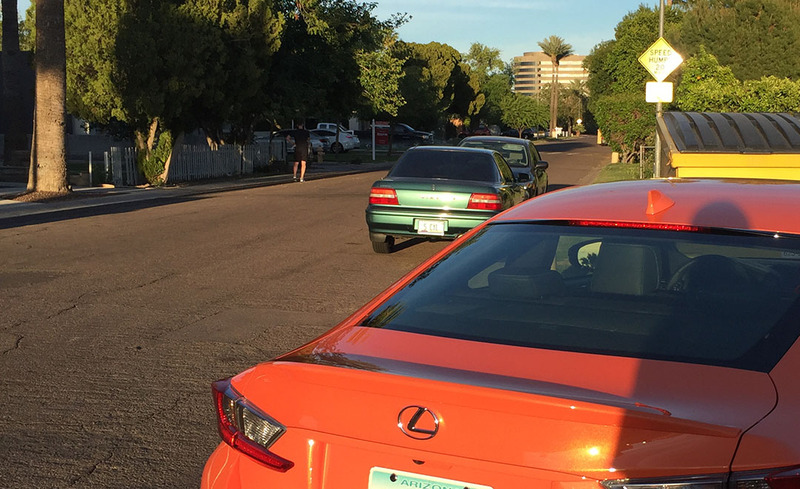 Neighbors must think we’re car crazy. They’re right. This entry was posted on April 10, 2017 at 9:03 pm and is filed under Arizona, PAPA. You can follow any responses to this entry through the RSS 2.0 feed. You can leave a response, or trackback from your own site. Sarah looks like a real inspiration. It was interesting in that video to see how many of her training group hadn’t actually changed a tyre! Have you driven or been a passenger in the James’ press car yet? Loving the white EX coupe that visited you – we used to have a white EX sedan back in the early 90s that was miles ahead of anything else for sale at the time! 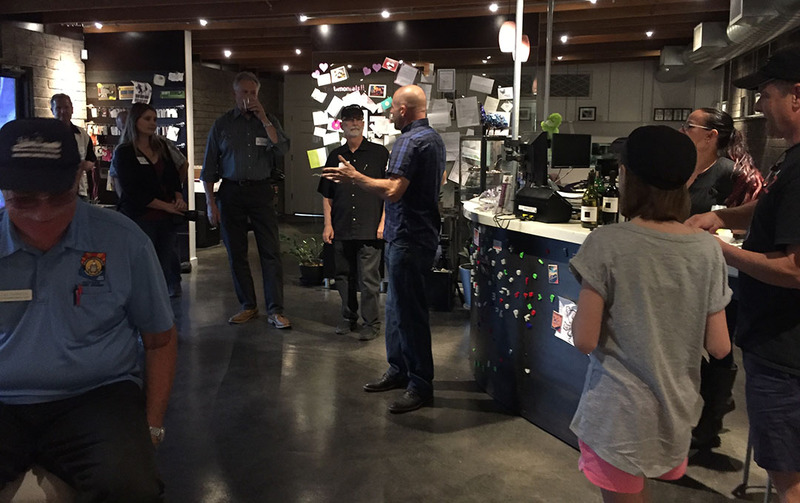 Great tour of 180 Degree Automotive. Would like to see the final build of that ’57 Chevy-BMW… talk about a hybrid!! Ah, some CB7 love. The 4th gen Accord has got to go down as one of the best mass-produced cars in history. Did you get to drive them? I didn’t drive either of the Accords, but I rode in the back of the SE when we took it to dinner. For 300k miles it rode just as smoothly as can be. I agree – that chassis has always been one of Honda’s most notoriously reliable. Just look at what Million Mile Joe did! I love everything about 180° Automotive. The professionalism, the concept, the decor are all things that would draw me to the business. I hope she continues to do well. Thanks Dave – agreed, it’s inspirational to see someone who is eager to go against the grain in such a male-dominated industry. Plus Bogi is just a hoot to be around. Total enthusiasm for cars and hospitable as can be. Hope she continues to do well too! Great post as usual Tyson! Those accords look pretty nice. Keep up the good work. Off topic: Did you see the 2018 Acura TLX reveal this afternoon? Thoughts?? Hi Michael! Thank you! I didn’t get the chance to watch yesterday’s Acura press conference from the NY Auto Show, but I saw a handful of pictures (even before the reveal) and I have mixed feelings about it. I’m glad the A-Spec version is here, I like that exposed exhaust tips are back. The red interior looks cool. I’m still not feeling too fondly about the new face. What were your thoughts? I’m glad we got to tour 180 Automotives facility – they got a new customer now. What a whirlwind of a weekend though with all those unexpected guest. So many Hondas in the driveway. Never enough Hondas around these parts! Let’s adopt one of every flavor. Yes! I told him, now I just need to seal the deal on a 96-99 SLX and we’ll both of 3.5 liter Isuzu trucks roaming around the house! Hope your week is going well Conor! Although it was fortuitous to have it roll 300k at just the moment for you to capture it for posterity… nice work Mr. T! Your 93SE is more accessorized than Corey’s – I see his is missing the rear spoiler and the OEM fogs. Anything else on yours that was a “factory upgrade” when you got it new? Really wasn’t any factory installed options per se back then only Honda “dealer” accessories which I purchased separately and installed myself like the nose mask, wheel trim moldings, mud guards, rear spoiler, fog lights, CD changer, stuff like that. Ah the days of trunk-mounted CD changers! So 1990s. “Hold on, let’s stop at the rest area so we can put in some new music.” Yeah the OEM keyless modules for the old Legends are no longer available either. Oooh, new floor mats. I bet a few CB7 owners would give a pretty penny for a fresh set of those. But you mustn’t sell, of course! Would be great to see that accessory brochure if you get the chance to scan it. All true but I must admit from a fidelity point of view CDs are still superior in sound quality to compressed mp3s.. if you care about those things.